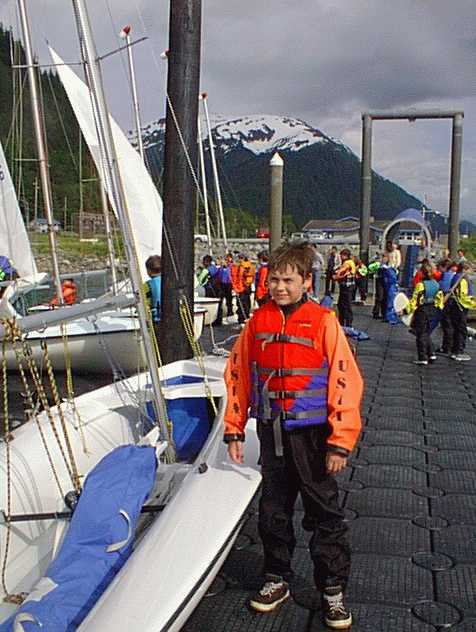 Juneau Youth Sailing is a nonprofit organization promoting youth sailing programs for Juneau, Alaska, and does a great job of teaching kids to sail, even in our cold waters and sometimes harsh climate. 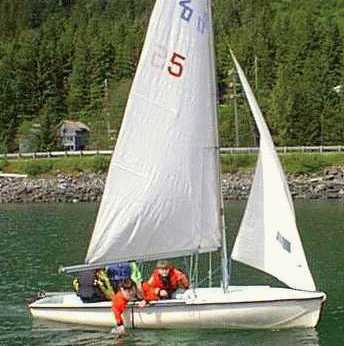 Son Joe is just old enough to enroll in his first sailing classes, and is brimming with enthusiasm. 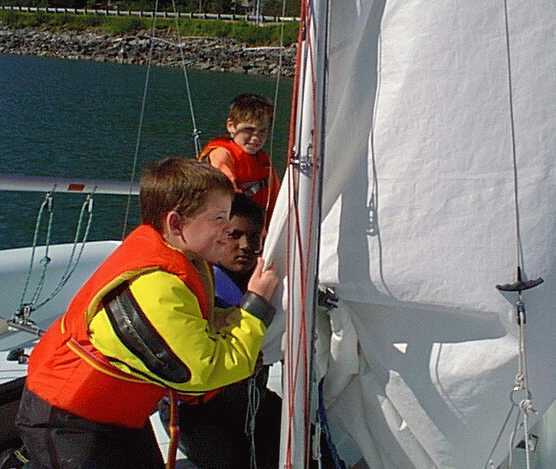 These photos cover an "Introduction to Sailing" class for ages 10-11. 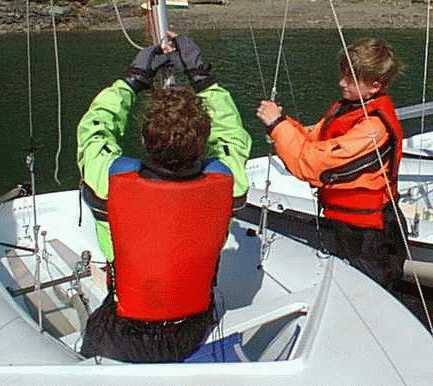 JYSF sails Vanguard "Club 420s", a lively, responsive, but simple and safe sloop. 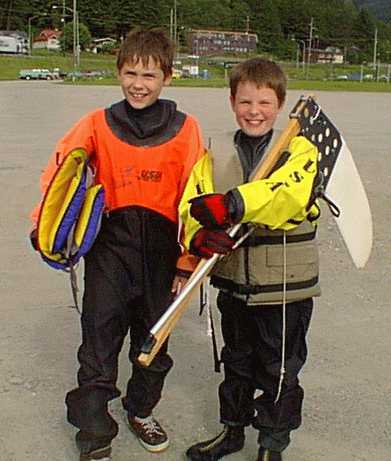 Dry suits are used to deal with the cold water. 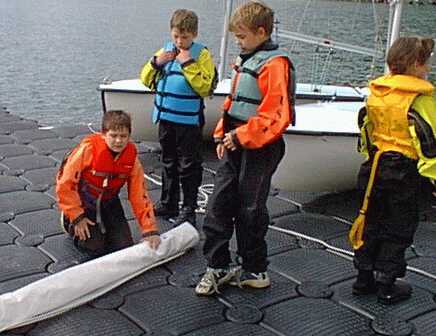 Seals at neck, wrist, and feet keep (most) water out, and insulating clothing worn underneath provides warmth as needed. 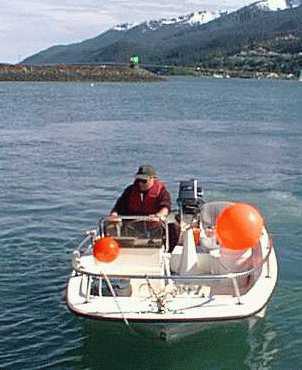 PFDs are worn for additional bouyancy. 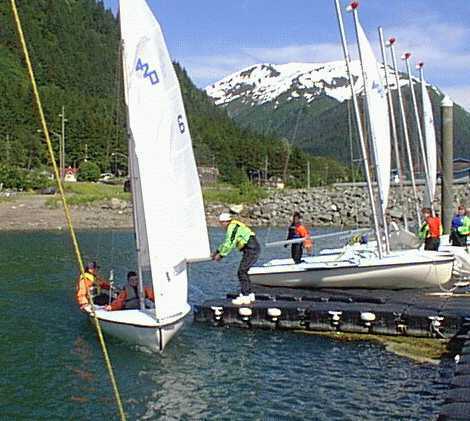 Joe's boat cautiously approaches the dock on the first day, after a capsize drill and first sail in Gastineau channel. Heave away, Haul away!....hauling down the mainsail at the end of the day. DeRigging the boats....now what part is this? Students learn the names for all the many parts of the boat, and help to rig and de-rig the boats each day. First day - a sailor! Two JYSF Boston Whalers are manned by U.S. 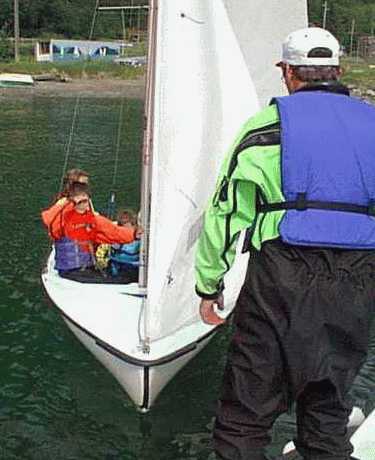 Sailing certified instructors, for rescue assistance and on-the-water instruction. 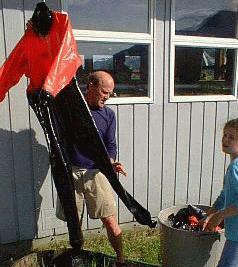 Removing the dry suits can be a bit tedious, and must be done carefully so as to not damage the fragile seals. ...before the boats head out on the water. (Click for larger image) "And then we heeled over this far...and then we turned turtle, and then..."
Debriefing after the sail. 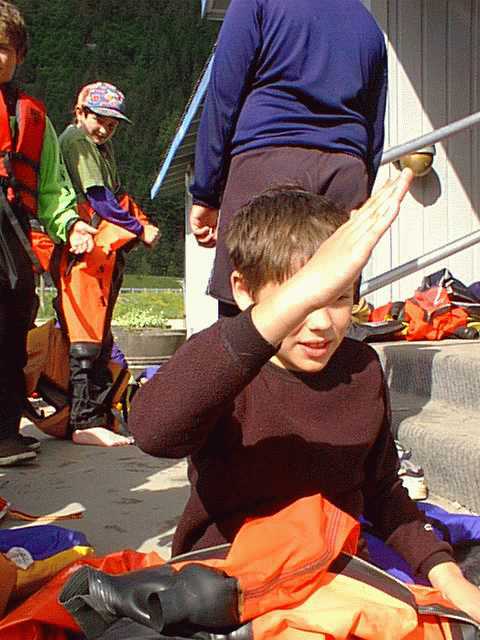 The kids all talk excitedly at once about their various experiences, some of which can be pretty powerful for a 10 year old, experiencing it for the first time. 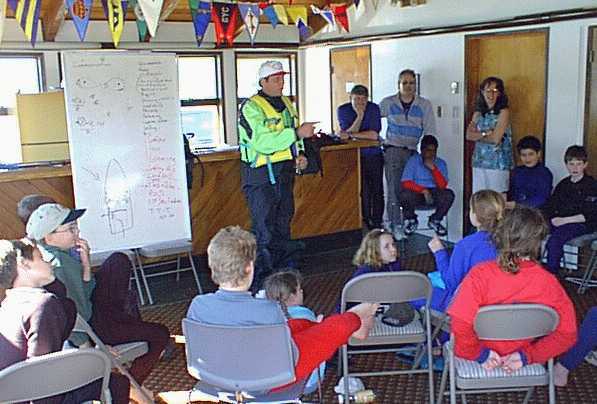 It seems very important for them to have this time to talk about it, to each other and to instructors and parents. Gotta be there at the moment though. 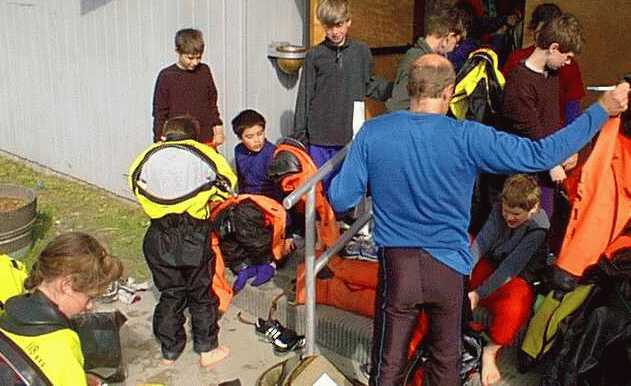 The expensive dry suits must be carefully maintained... freshwater rinse, and inspection and repair of any seal or zipper problems after use.